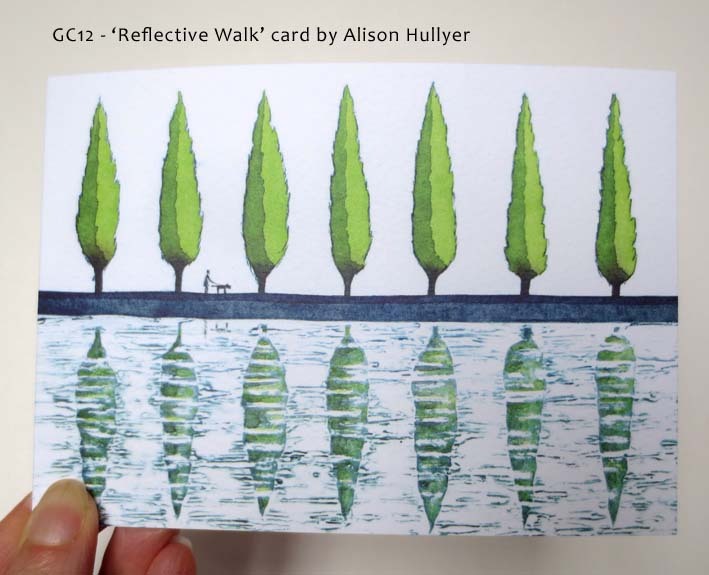 One of my prints that sold at the Cambridge Original Printmakers show was this one, called 'Reflective Walk'. 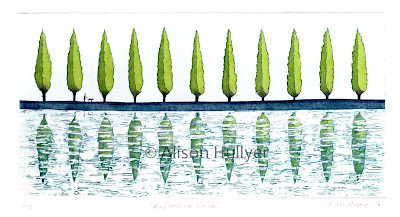 It's loosely based on the row of poplar trees that run alongside the lode near the Mill at Anglesey Abbey. I often walk my dog there, after delivering stock to the National Trust shop and have always loved the reflections. It's produced using a cardboard 'plate'. The top half has the outline of the trees carved into it. 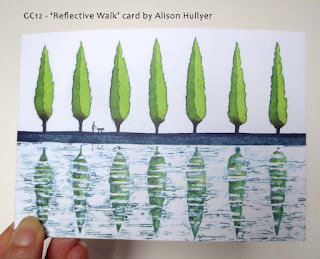 The reflection was made by cutting out the top layer of card to form the tree shapes. I then applied glue to create the texture of the water. Once the glue had hardened I inked-up the plate with oil based coloured printing inks, cleaned away the areas I wanted to be white, then placed the plate on my press. I use 300gsm Somerset white paper, which is placed on top of the plate before beng rolled through my etching press. 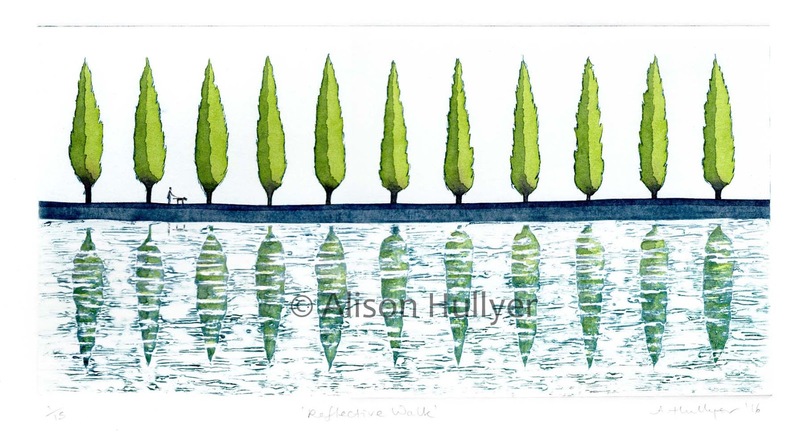 Once the ink has tried I added watercolour to the trees to create a strong shadow. The water is how it was printed. It took several attempts to get the print how I wanted it as the first three came out too dark, so I had to wipe away more ink from the plate each time I inked it up. I have also had the design made into cards and coasters.